Amplitude’s games all use the word ‘Endless’ in their titles, and it’s because they all are meant to take place within one vast universe. Now you can jump into that reality at any point, with the studio’s full Endless series free to play on Steam this weekend. The free weekend marks the launch of new DLC packages for some of the Endless games. Endless Legend (read our review) is the studio’s fantasy spin on the Civilization-style 4X game, and its final DLC, Symbiosis, is out now. The pack adds a new fungal race called the Mykara, which propagate out from their start positions and overgrow unoccupied points of interest. There are also gigantic new creatures called Urkans, which emerge from underground and capture neutral territory. They can be beaten back or tamed, and they offer opportunities to learn new technologies if you can manage it. 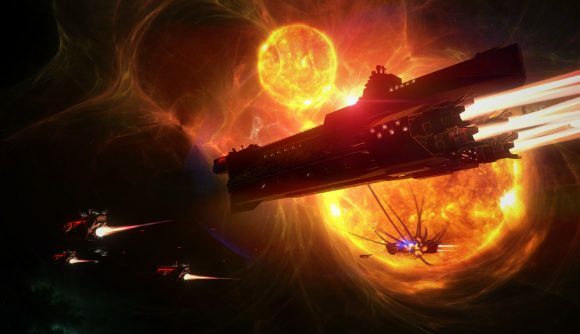 Penumbra is the latest expansion DLC for Endless Space 2 (check out our Endless Legend 2 review here), and it overhauls the game’s scan view to include the new hacking feature, allows for invisible fleets, and adds a community-created faction called The Umbral Choir. Hacking lets you influence or disrupt rival players’ systems, but the hacking process can be disrupted or strengthened using programs. Meanwhile, you’ll be able to outfit your fleets with modules that can make them invisible – but only as long as your enemies don’t have detection modules. The Endless games have quietly been some of the best titles in their respective genres, particularly Endless Legend and Endless Space. They’re elegantly-designed, and while they’ve taken their inspiration from big titles like Civilization, they’ve managed to add their own unique mechanics and depth to the formula. If you’re interested in the 4X genre, this is well worth checking out if you haven’t tried the Endless series. The free weekend ends Monday, at around 10:00 ET.